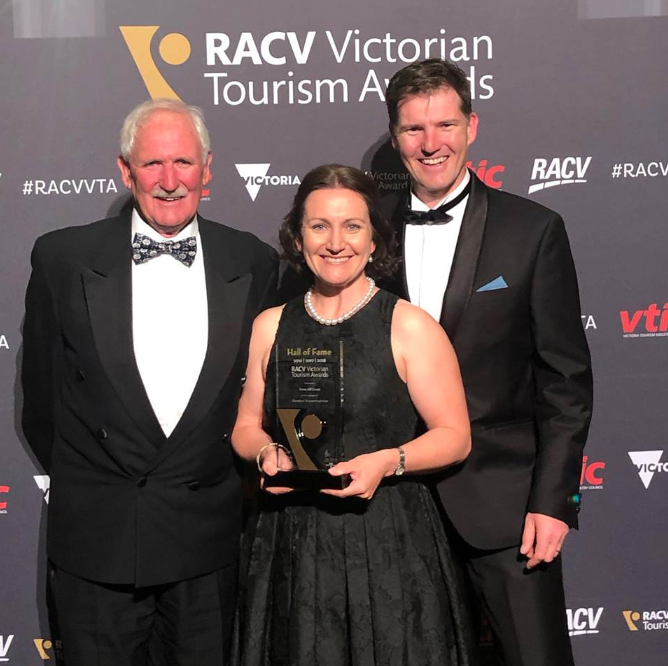 The Victorian Tourism Industry Council’s (VTIC) annual RACV Victorian Tourism Awards was held on Thursday the 22nd of November, with many representatives from across the industry in attendance, dressed to the nines and all in happy spirits! Tim & Ange Chandler accepting the gold award! Cave Hill Creek, Formula 1 2018 Rolex Australian Grand Prix, Holmesglen at Eildon, Auswalk, Royal Mail Hotel and Worn Gundidj at Tower Hill, all claimed Hall of Fame status after winning gold in the same category for three consecutive years, doubling the number of last year’s inductees. Tim and Ange Chandler would like to thank our many friends and family for the many years of support, and in making Cave Hill Creek the magical place it is today. After 30 years in the business, we couldn’t be more proud of the place that we’ve created – Cave Hill Creek is our home. And for so many others who have had their wedding day or attended one of our summer camps or other events, Cave Hill Creek is a place filled with so many lasting and wonderful memories. 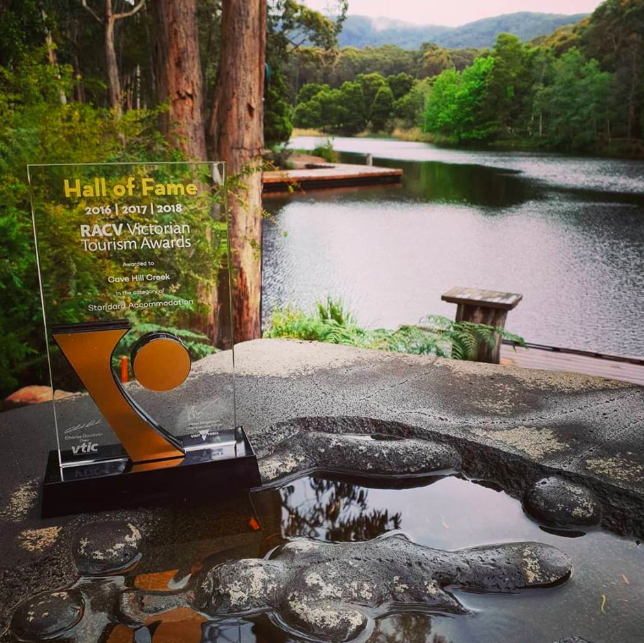 Our Vic Tourism Hall of Fame trophy has only just arrived home and already it loves the view! Wish us luck at the Australian Tourism Awards in Launceston in March!